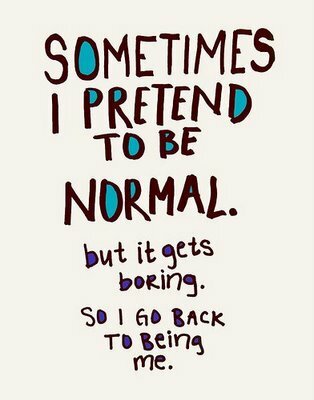 Let’s Pretend | Life. Seriously? Funny! There is nothing past this life. There is neither heaven nor hell. Whatever we put into this life is all we will get back; we answer to none other than ourselves. Life then becomes a series of experiences; occurrences which may or may not fall under our control. We vacillate between conqueror and victim depending on the circumstance. If we plan well, things should go well unless events transpire beyond our ability to see or plan. If we find ourselves in situations we find inherently unpleasant, we either become another statistical anomaly subject to actuaries and their tables or we must rely on humanly devised coping mechanisms: personal, pharmaceutical, psychological or other remedies of self-medication. If all of this is indeed true (yep, still pretending here) should we not see less stressors in our world, less discomfort at one’s death (since death is nothing more than the evolutionary outworking in our midst) and more equilibrium in society as a whole? Would not crime become self-regulating since evolution would have naturally de-selected those whose motives were not more toward equilibrium and balance? Would we not see a greater emphasis on relationships knowing they alone give intrinsic value to life? Every single person in this world longs for the eternal: more time, more life, or simply just “more.” The time we have alive is fleeting and never long enough. The desire to live is paramount, yet to believe we only desire to avoid death for the sake of more and greater experience is as simplistic as it is puerile. It is not the experience of things but of relationships which make our “time” possess its intrinsic value. Time has meaning because of the relationships we have with others. If what we “pretend” to have is true, why do we still long for “more” beyond what we have and will be given? Would not “natural selection” and “survival of the fittest” have long ago removed those who think such things from humanity’s midst due to the weakness of such characteristics? When we trust in what He has done, what He has taught and what He promises, we are not changing merely our minds but we embark on a relationship which changes who we are! No one can keep pretending forever. Posted on March 14, 2012, in Uncategorized and tagged philosophy, politics, religion, science, spirituality. Bookmark the permalink. 2 Comments. I am on Twitter but my schedule tends to crowd out most of my desire to post! @Pastor_dude Thanks for reading!